Our popular Jugadoro polo belt boasts beautiful navy and cream threads hand stitched onto rich Havana brown Argentinian leather, finished with a tough Antique brass effect buckle which is nickel free and an embossed pampeano logo. Available in a wide range of sizes, please see our size chart below. 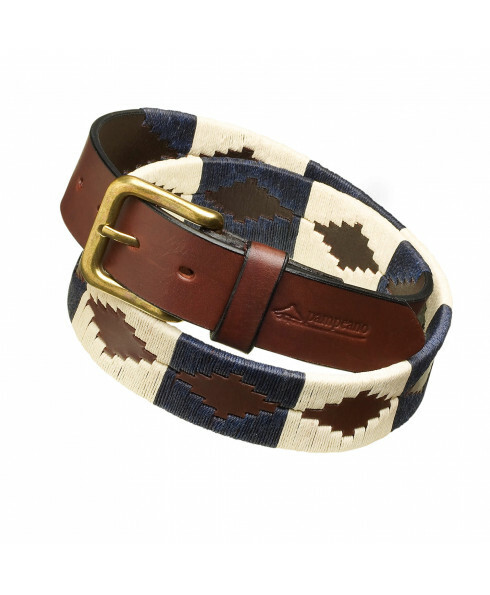 Once you have selected your size and shipping options, your polo belt will be handpicked and arrive neatly gift boxed. 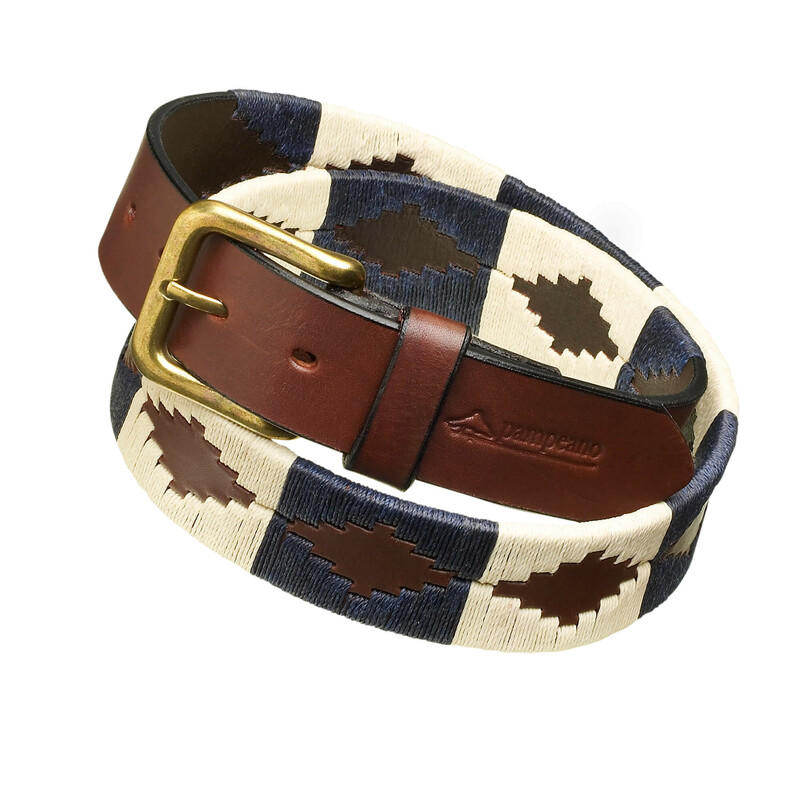 The Jugadoro polo belt is a popular choice with a very on trend, stately design with nautical colour blocking. Each pampa design is made up of individual threads that have been precisely hand stitched one by one onto rich Argentine leather.